A devastating inside look at the dark side of Congress revealed by one of its own! 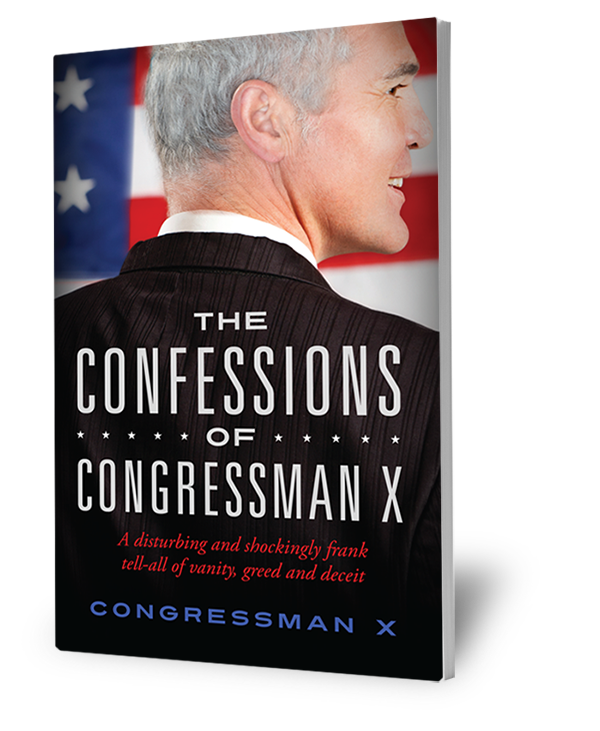 Due to the brutally frank and damning nature of his Washington tell-all, Congressman X insisted on anonymity as a precondition for the publication of his 'confessions.' In his own words: "I don't have the desire to soil my legacy, nor do I want to embarrass my family, or the congressional colleagues I've worked with through the years." Many will be appalled by Congressman X's arrogant attitude, particularly his lack of remorse for deluding and mocking the "apathetic and gullible public" he was elected to serve. His colleagues fare no better. Citing specific examples, he paints an alarming picture of a dysfunctional institution dominated by a coterie of deceitful career politicians who revel in the power they possess and the special-interest money that's lavished upon them. As X so eloquently states: "I've come to the conclusion the whole Washington scene represents a diminishment of civilization. Our country's in a free-fall to mediocrity, and Congress is leading the way."